Made important website design changes? Fixed an SEO problem? Redirected a crucial page? Doing Testing and need a quicker turnaround? Optimising for an event or key-term that is time limited? Published something you wish you hadn’t? Fetch as Googlebot just made your life a lot easier. Google has announced this great new feature in webmaster tools, allowing webmasters to submit new or updated URLs for faster indexing. Fetch as Googlebot is not a particularly catchy title, but constitutes a long-overdue feature which takes some of the mystery and guess work out of getting content indexed fast. For everyone who’s been getting pages indexed quickly by tweeting, re-tweeting and using social bookmarking; these social media activities are benefiting your search engine optimisation in more ways than just persuading the Googlebot to come and visit - so don’t stop yet. 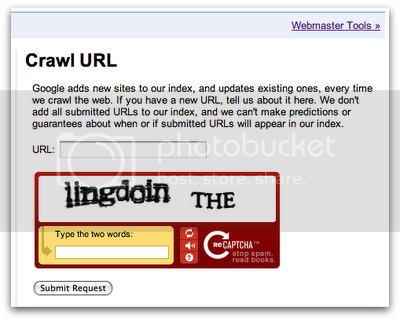 But... do log in to webmaster tools and check fetch as Googlebot out asap. After you ‘fetch a URL as Googlebot’ you are given the option to submit that URL to the Google index, and in a rare bit of Google transparency they even state that URLs should be crawled within a day. The service comes with the usual caveats and is not a guarantee of indexing, with Google stating that submitted URLs will still be evaluated in the usual way. It’s worth noting that fetch as Googlebot is aimed at mainly text-based standard web content; if you want to get your video or image files indexed fast then Google sitemaps should still be your first port of call.